ATTENTION !! THERE ARE SOME STAINS ON SLEEVE // PRICE REDUCED. 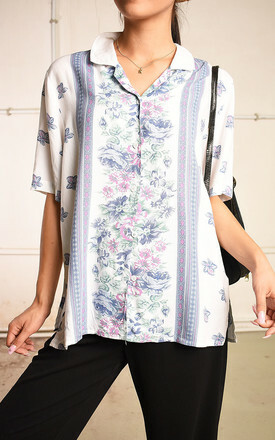 Cute vintage 90's retro floral print festival blouse top. 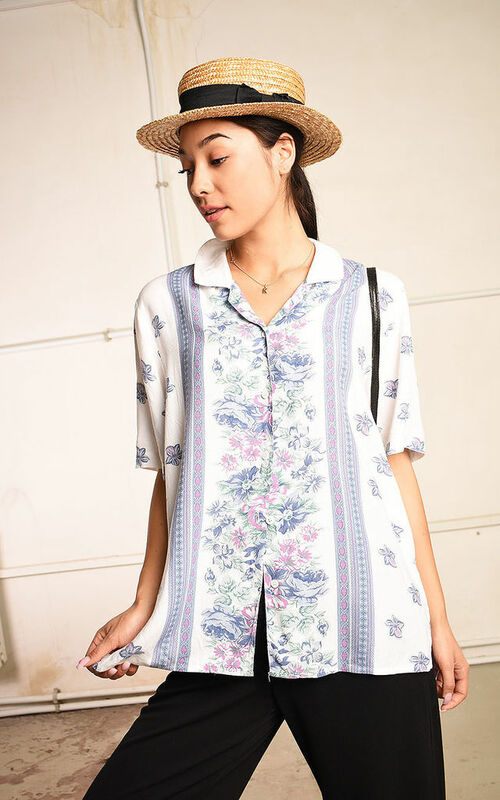 Buttons down, loose-fitting, great condition. Size fits UK 10. The model size is UK 6-8. Length - 66 cm, bust - 102 cm. 100% viscose. Delicate wash. Please take a look at our other items! Size fits UK 10. The model size is UK 6-8. 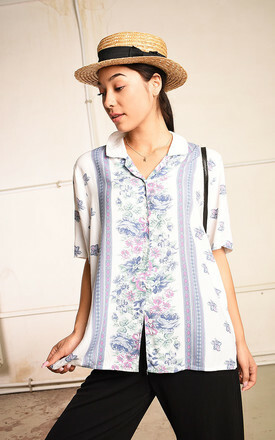 Length - 66 cm, bust - 102 cm.